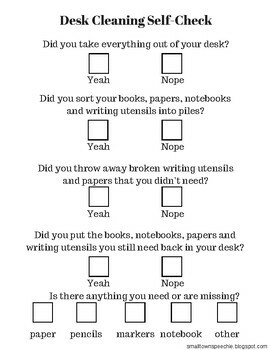 Recently, I had a child who happens to be on "the spectrum" who was struggling to clean her desk at school. She just didn't want to. 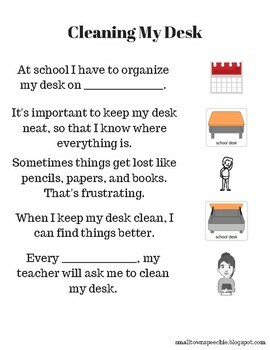 Using these tools and a social contract played a huge role in helping her become comfortable with building cleaning her desk into her school routine. 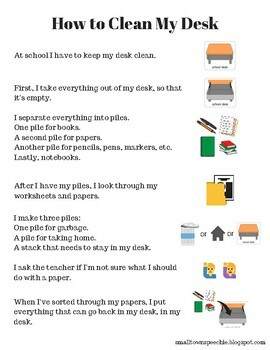 I wanted to share this packet with you all so that it can help children with or without disabilities in the classroom, while encouraging independence and following directions without the teacher leading them always. Hope you enjoy!